night up in the trees ! When your dreams are rising up high in our trees. 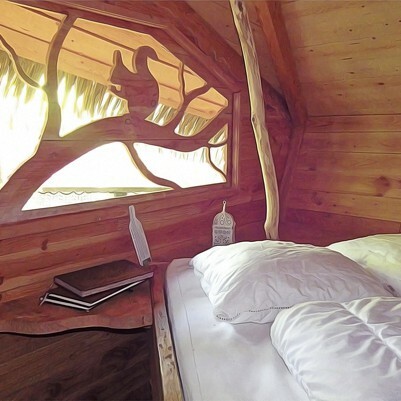 Sur un arbre perché” makes one of your childhood dream come true : spending a night in a tree ! Come and have a magical moment with your love or your family, completely immersed in nature! It is the ideal opportunity to spend an unforgettable night in this atypical and ecological accommodation, located in Pons, (Charente Maritime) next to Royan, Bordeaux, Angoulême, Niort and La Rochelle. 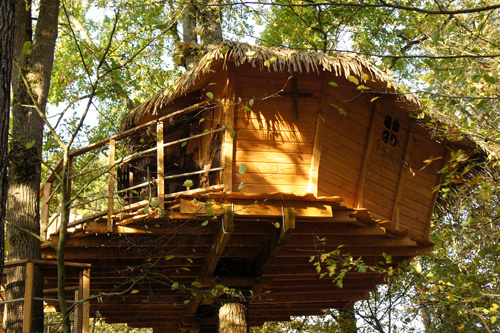 Nestled in the park of the Château des Enigmes, five huts await you to take you away from modern life. Sleeping in a tree is an original adventure : between heaven and earth, you will fall asleep peacefully lulled by the wind. Your breakfast will wait for you at the tree’s foot , when you’ll wake up : just hoist the basket with the rope ! While enjoying it, you might see a squirrel from the forest. Our three “special for couple” tree-houses stand at 8 meters high where you can relax with your lover in the peaceful canopy. 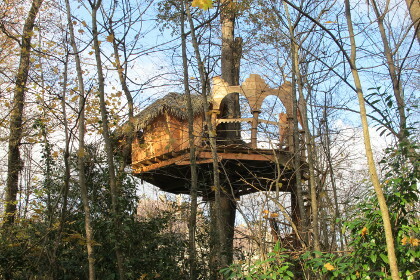 Our two “special for family” tree-houses are perched at 5 meters high. Suitable for children over 2. Children will discover their little nests for the night and the life of the forest from their beds. In an ecological approach , all our treehouses are without water and electricity, but all have composting toilets. On a large terrace, you will find a table and chairs to enjoy the forest. Looking for a special present, for a special person? 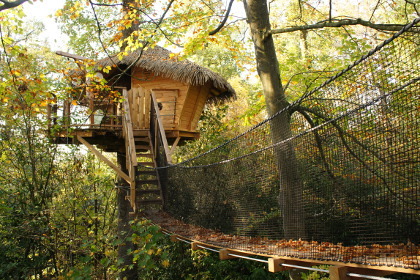 We sell gift vouchers : valid for one year, the recipient can choose its favorite treehouse, on its favorite date. To spend a night in an enchanting environment with your loved ones! 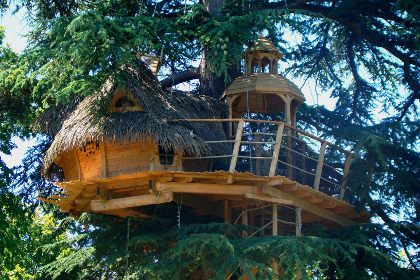 The ideal tree house to observe the Nature with your family! You will all love to navigate on this ship in the trees! For the fourth year in a row, our tree house are part of the 10% of the most highly rated structures by travelers around the world (Certificate of Excellence by TripAdvisor obtained in 2016, 2017, 2018). 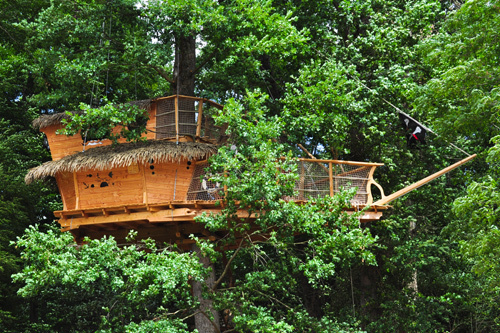 96% of the people sleeping in our tree houses are fully satisfied of their overnight stay in the trees. What a romantic night !